1. Nested virtualization feature that it mean you can run Hyper-V inside of a Virtual Machine (VM). 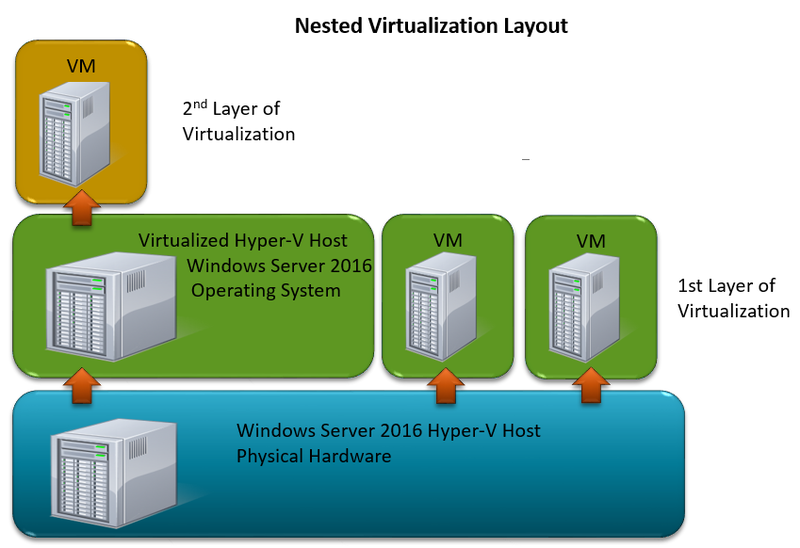 Hyper-V host can itself be virtualized and so very useful for testing purpose. 3. Hot Adding Hyper-V Network Adapters and Memory without reboot necessity. 4. Windows Server 2016 introduce Cluster Azure Cloud Witness too. 5. Site-aware Failover Clusters At the same time cluster groups server based on site geographical location. Site-aware Failover Clusters in Windows Server 2016. Workgroup e Multi-domain Cluster on 2016 override 2012 R2 limitations that all cluster servers member need to be all located in same AD site.